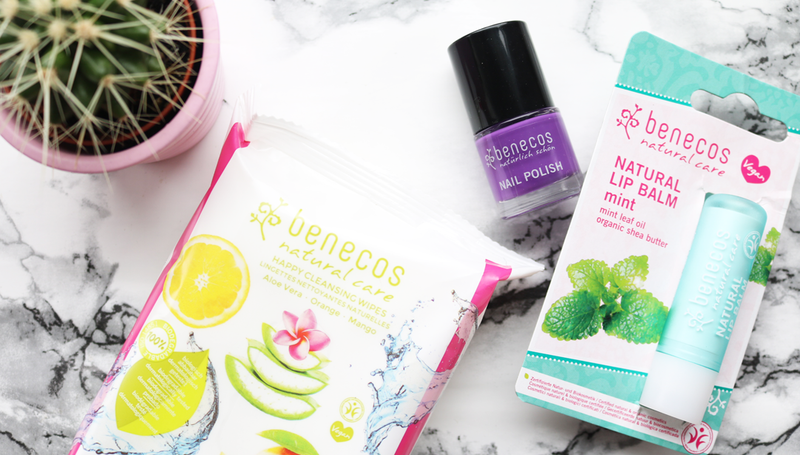 Last month, the natural/eco-friendly brand Benecos, released these three new products, proving that green beauty need not be as expensive as you might think it is. I've featured Benecos a couple of times on here and I really like their budget-friendly makeup. They're a great brand to look into if you're looking for cruelty-free products that are free from the main 'nasties' such as parabens, silicones and mineral oils etc, as all of their products are made with natural and organic ingredients. Regular readers will already know that I'm not the biggest fan of cleansing wipes, and I very rarely use them as I tend to stick to Caroline Hirons' popular mantra of keeping them purely for 'Fannies, Flights and Festivals'. However, I can appreciate their convenience appeal and they certainly come in very handy when you're camping or travelling. So if you're looking for a more eco-friendly pack of cleansing wipes to pack into your bag, look no further. 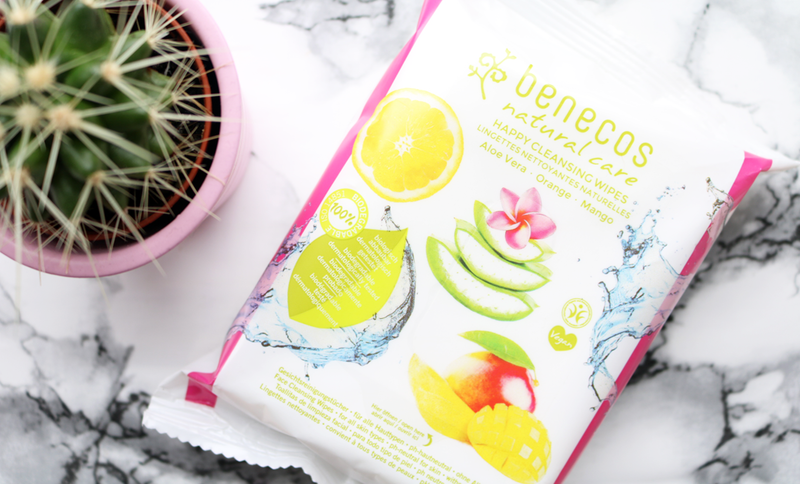 These new ones from Benecos are made from 100% natural cotton which is 100% biodegradable, and they're also alcohol-free and pH neutral to be kind to all skin types. Infused with organic plant and fruit extracts such as Orange Water, Aloe Vera and Mango, they offer a gentle and quick way to cleanse your skin without drying it out. 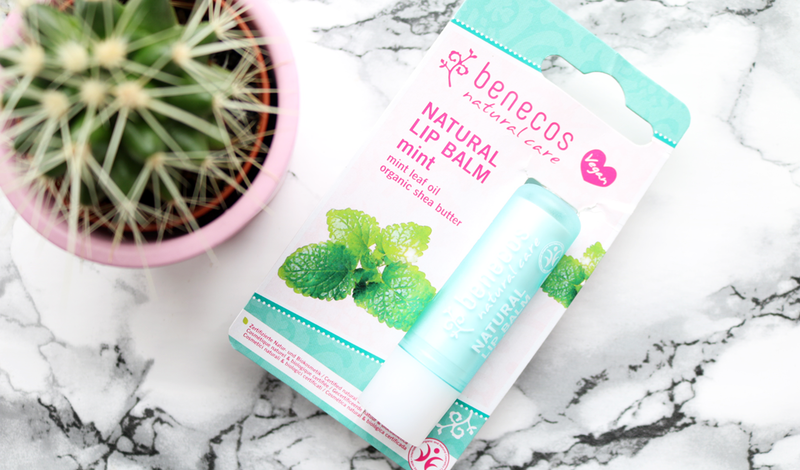 Joining Benecos' range of natural lip balms is this new Mint flavour, which will definitely appeal to those who are looking for a vegan alternative to popular brands such as Burts Bees. Featuring a blend of natural plant oils, waxes and butters such as Shea Butter, Cocoa Seed Butter, Carnauba Wax and Olive Oil, it's a moisturising treat for dry lips. The extra Peppermint Oil adds a lovely soothing and cooling sensation which will please anyone who's a fan of Mint flavoured lip products. Benecos' Natural Nail Polishes are seriously underrated in my opinion. This brand new bright purple shade has been specially created to support the brand's sponsorship of the Hertfordshire Mavericks Netball Team through their Superleague season, and I absolutely love it! 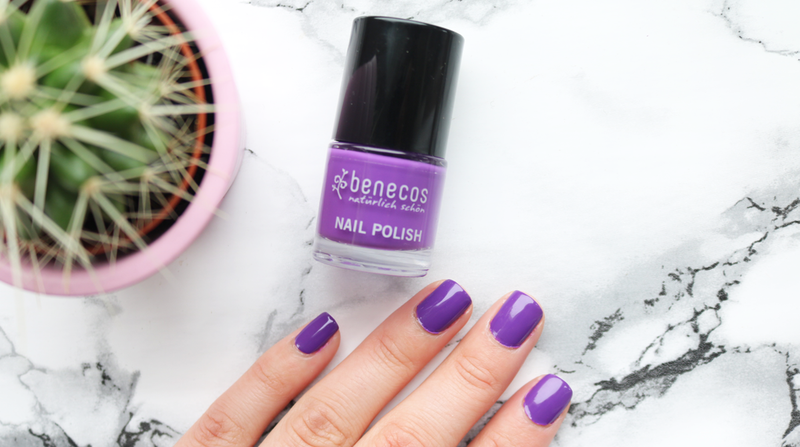 Purple is one of my favourite colours anyway, but this shade is the perfect transitional Spring shade to get you in the mood for some (hopefully!) warmer and sunnier weather soon. Excellent 6-free formula with a high shine glossy finish and the brush is also worth mentioning as it's wide and slightly curved, so it practically 'hugs' the shape of your nail for an easy, flawless application.